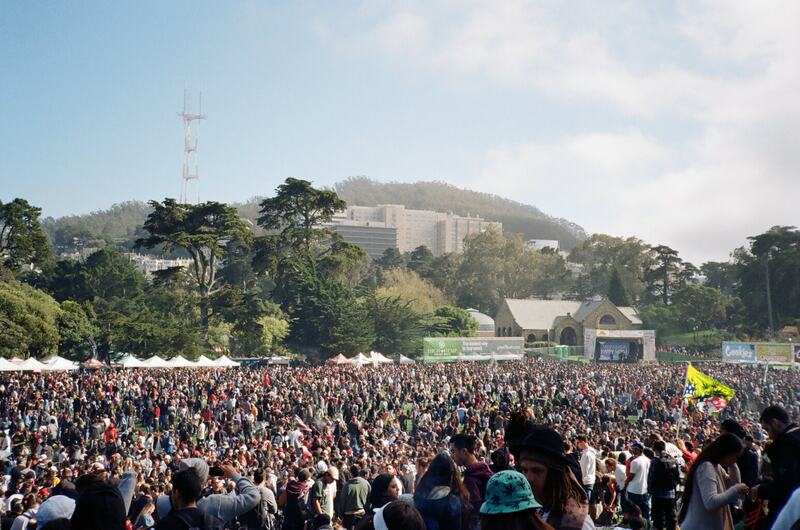 You don't need a fancy platform to find influencers. Just use this simple Google search query. There are hundreds, possibly thousands of platforms that help you look for influencers in your industry. Most of these are paid, some have free trials but nearly all of them are overkill. Especially during the discovery phase of an influencer marketing strategy. When I want to build a list of relevant influencers in a particular niche for future outreach, I simply use a modified Google search query. 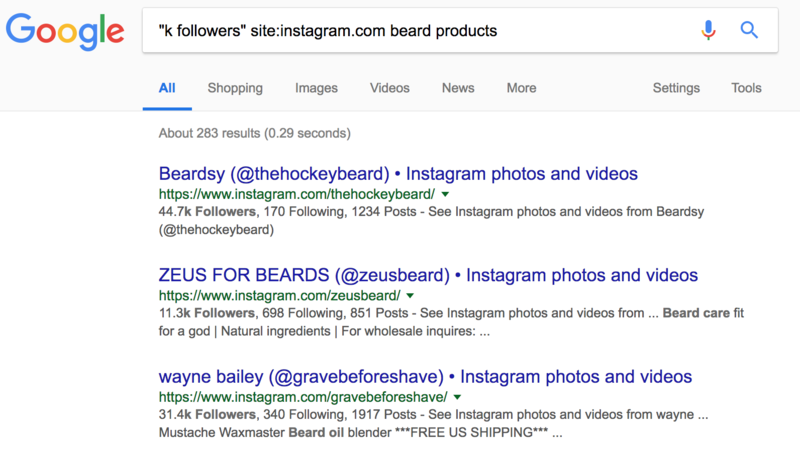 I get 283 results of beard product related Instagram accounts that have at least 10k followers. Voila! 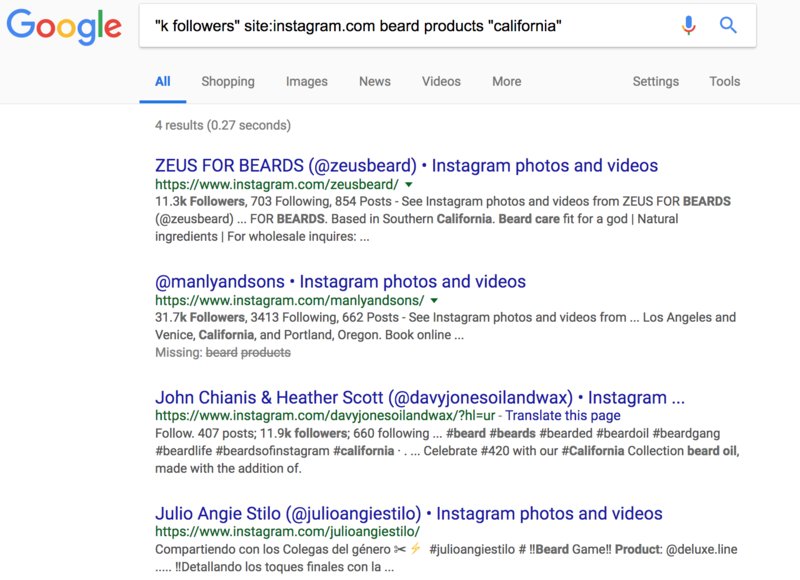 We get 4 beard product related accounts based out of California. Remember, just because these accounts have 10k or more followers doesn’t necessarily mean that they are legitimate. You’ll want to do some due diligence to determine the engagement rate of each account before you decide to reach out and work with them. Go through several posts and read the comments to make sure they’re authentic and engaging. I also like to use a free tool called IGBlade to find account engagement rates. In the next few weeks, I’ll publish a more thorough guide on how to determine influencer quality and what to look for when searching for authentic influencers. I recently turned this search “hack” into a video and published it on LinkedIn. It went viral and got an incredible amount of response from other marketers, growth hackers, and social media managers who found this search useful. Since influencer marketing is such a hot topic on LinkedIn, I will be making another video on how to build an even more powerful search query – stay tuned!